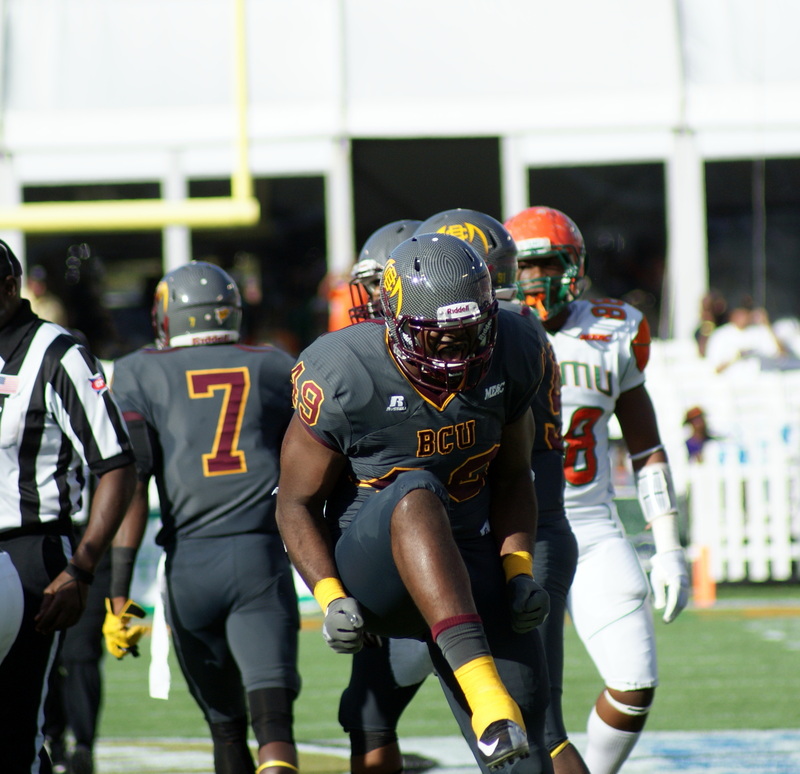 Quentin Williams and Isidore Jakson rushed for two touchdowns each in Saturday’s Florida Classic but it was the Wildcat defense that paved the way for a comfortable 29-10 win for Bethune-Cookman over arch-rival Florida A&M. The announced crowd of 45,321 watched BCU’s defense stymie the Rattlers and hold them to just 89 yards of total offense and forcing two turnovers on the afternoon. Dyron Dye led the defensive charge and emerged from the contest with 7 total tackles, 1.5 tackles for loss and 1.5 sacks. 7 other Wildcat defenders finished the day with 4 or more tackles. FAMU struck first in the contest on a 41 yard Chase Varnadore field goal with 9:58 remaining in the 1st. BCU responded quickly going 79 yards on 7 plays on the ensuing drive. Williams hit Jontavious Carter on a 43 yard catch and run to set the Wildcats up in good field position. 6 plays later Williams walked into the endzone to provide BCU with a 7-3 lead. After a FAMU 3 and out, BCU travelled 66 yards on 10 plays and eventually found the endzone on Williams’ second rushing touchdown of the game, this time from 17 yards out. The Wildcats capped the 1st half scoring on a 3 yard Isidore Jackson touchdown run. Senior quarterback Brodrick Waters hit Brandon Bryant in the back of the endzone on the 2 point conversion attempt to push the halftime lead to 21-3. Florida A&M’s only points of the second half came on a 45 yard fumble return by Jonathan Pillow midway through the 3rd quarter. Isidore Jackson’s second 3 yard touchdown run of the afternoon followed by Waters 2 point conversion run wrapped up the scoring at 29-10. With the win, BCU locked up their 3rd conference crown and playoff appearance in the past 4 years. The win also pushed BCU’s active win streak over FAMU to 3 games. 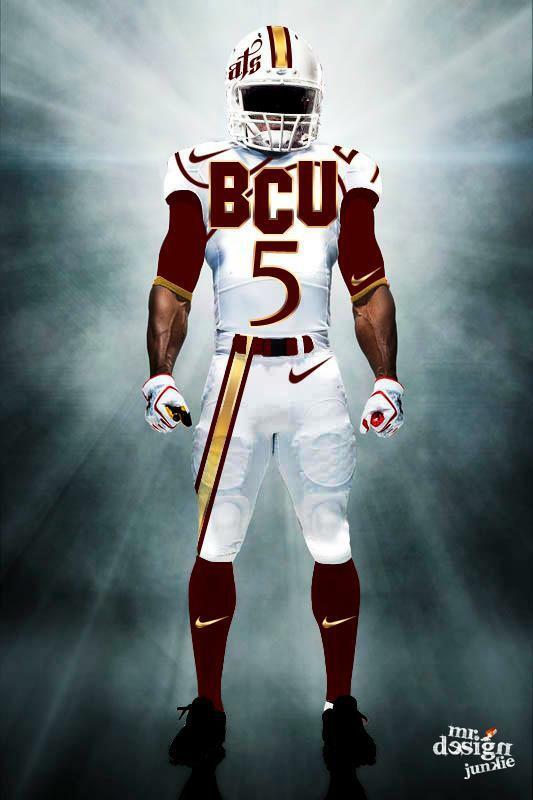 Only one time prior, 2002, 2003, and 2004, had BCU won 3 straight games over Florida A&M. The pairings for the 2013 FCS Playoffs will be announced Sunday morning at 11:30 A.M. on ESPNU.